The teen years are full of awkward, angst-filled moments. But if you thought your teen years were awkward, you've got nothing on Teen Boat, a boy who can turn from teen boy into a boat at will. 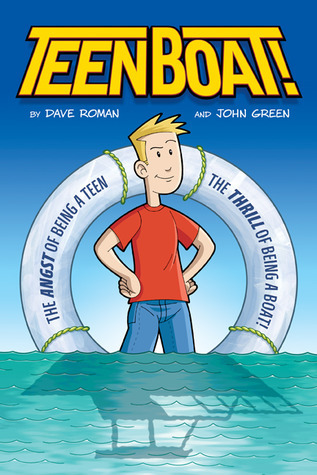 The tag line of this graphic novel says everything you need to know about it: the angst of being a teen, the thrill of being a boat. And with that, you get an idea of the quirky humor and ridiculous yet intriguing premise. This is a graphic novel that one might initially dismiss as fluff, but don't allow yourself to only be enamored with its quirkiness; there's a lot happening beneath the surface too. Upon first reading, I'm sure I missed all the symbolism permeating the story because I was just so delighted by the quirk factor. I think I will have to encounter a second reading very soon because I know there will be things I missed the first time around. 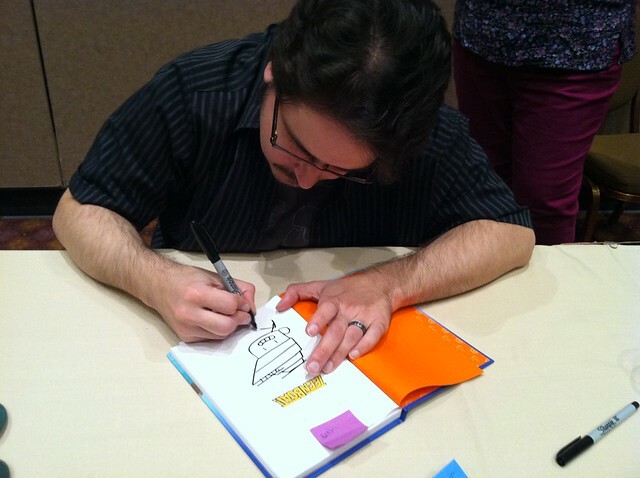 This book was a delightful surprise and I'm looking forward to reading more of Roman's work, especially after getting the chance to talk to him at NCTE/ALAN. 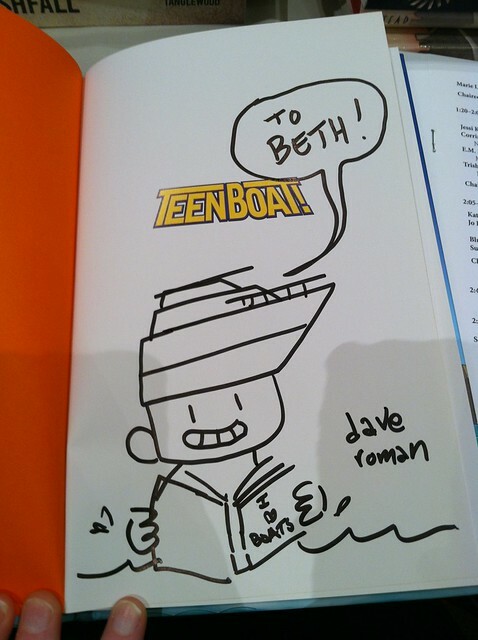 Dave draws in my copy of Teen Boat! My personalized copy of Teen Boat!